Jungle characters fill your child's room with fun and laughter! Spend hours of fun interacting with great Jungle characters such as lions, monkeys and elephants. Bright and cheerful your child will love spending time in their bedrooms and will definitly be the talk of all their friends. With easy on and off installation its never been easier to decorate your walls. Match your wall with a door or wall panel. 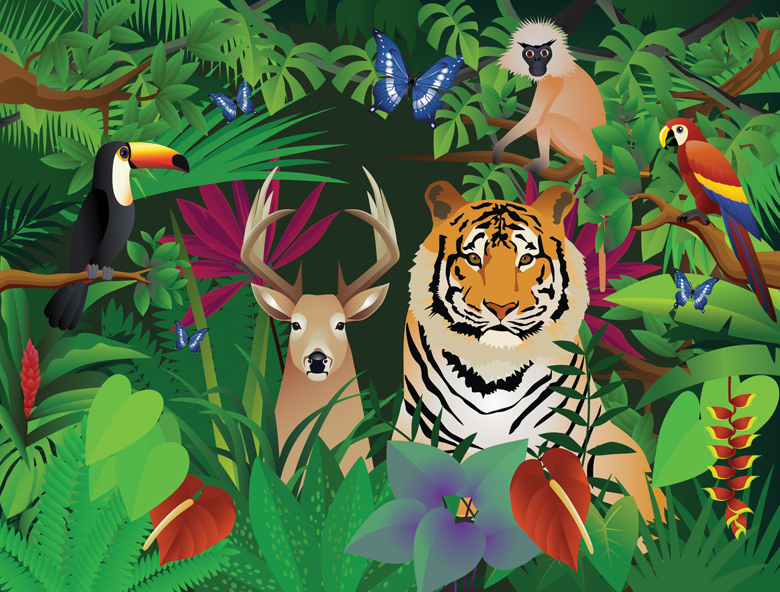 Click the panel jungle here to view all our designs.